Buses 216, 219, 220- Get off at Hanna St.
Off-street parking on St Kilda Rd and side streets. St Kilda Road is one of the major arteries of Melbourne, bustling with constant activity as people travel between the CBD and inner south-eastern suburbs like St Kilda and Albert Park. Charles Reichman has established an office on St Kilda Road for maximum convenience, allowing us to provide notary services that help prospective migrants to navigate the various processes. By choosing us, you can give yourself the best chance to build a life for yourself in Melbourne. Our notary services are available at reasonable prices for people from all backgrounds who need our assistance. We pride ourselves on adding to the multicultural diversity Australia is known for. 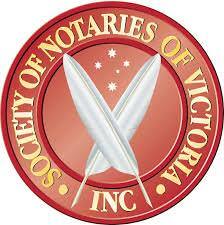 There’s no better choice than Charles Reichman when it comes to professional notary services on St Kilda Road. Contact us today for further assistance, or visit our useful FAQ page for more information.